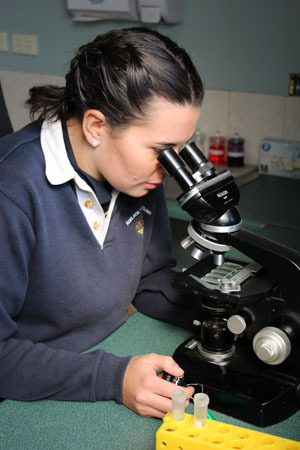 We have developed a suite of laboratory services to assist you with managing your equine companion. Did you know not every horse needs to be dewormed? Did you know that resistance to dewormers is becoming a widespread issue? How can we prevent this? 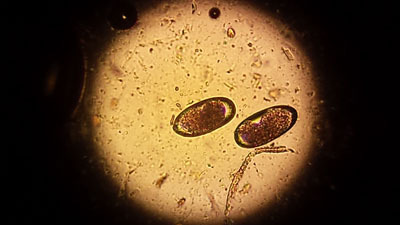 We can perform a Faecal Egg Count and Faecal Floatation to look at all types of equine parasites. These procedures ‘float’ any parasite eggs out of the manure and allow us to see them under the microscope. Using the results of the strongyle count, and presence of any ascarids or tapeworms, we can then help you design a deworming schedule based on your individual horse’s requirements. We are constantly getting questions about behavioural issues with horses, and there can be medical causes. Intestinal ulceration is a cause that is readily diagnosable, but was previously only possible with a gastroscope (see our Advanced Diagnostic Equipment page). Now we have the Succeed Faecal Blood Test kit. When damage (ulceration) to the lining of the intestines occurs, blood may enter the intestinal tract. Depending on whether it is stomach (foregut) or intestinal (hindgut) ulceration will determine whether albumin or haemoglobin (different blood products) are present in the manure. These can then be detected with the Succeed test. This test is very cost effective and can be done stall side to allow easy, rapid diagnosis of ulceration. We recommend the test in conjunction with a consultation to help eliminate other factors. We can perform a same-day full blood analysis at the clinic. Consisting of a Haematology (red & white blood cells), Biochemistry (enzymes and electrolytes) and Fibrinogen (inflammatory protein), we can help get your horse back on track. Immunoglobulins (such as IgG) are passed from mare to foal in colostrum, and are important in fighting infections until foals can develop their own immune system. From 12 hours of birth we can collect a blood sample from your foal and test to ensure it received enough colostrum at birth. A lack of colostrum can expose foals to many life-threatening infections, and may require a plasma transfusion to ensure their survival. 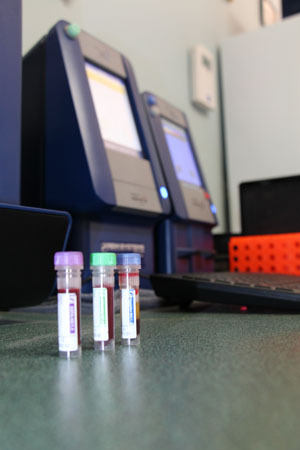 We work with a number of external laboratories to also offer you a full complement of diagnostic tests. 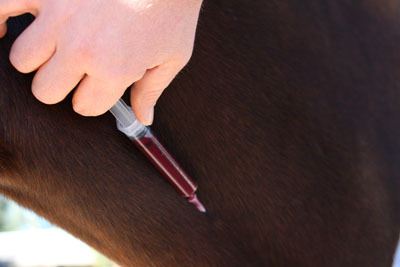 From tissue samples to specific hormones, we can work with you to find your horse’s problem. Please call the clinic today on 08 8523 4777 to find out what diagnostic services we can provide for you.